Angara is a family of Russian space launch vehicles that includes light, medium and heavy-lift launchers developed and operated by Khrunichev State Research and Production Center. The different versions of Angara provide payload capabilities of 2,000 to 50,000 Kilograms into Low Earth Orbit. The Angara launch system is planned to be operated from the Plesetsk and Vostochny Cosmodromes and from Baikonur for Commercial Launches. 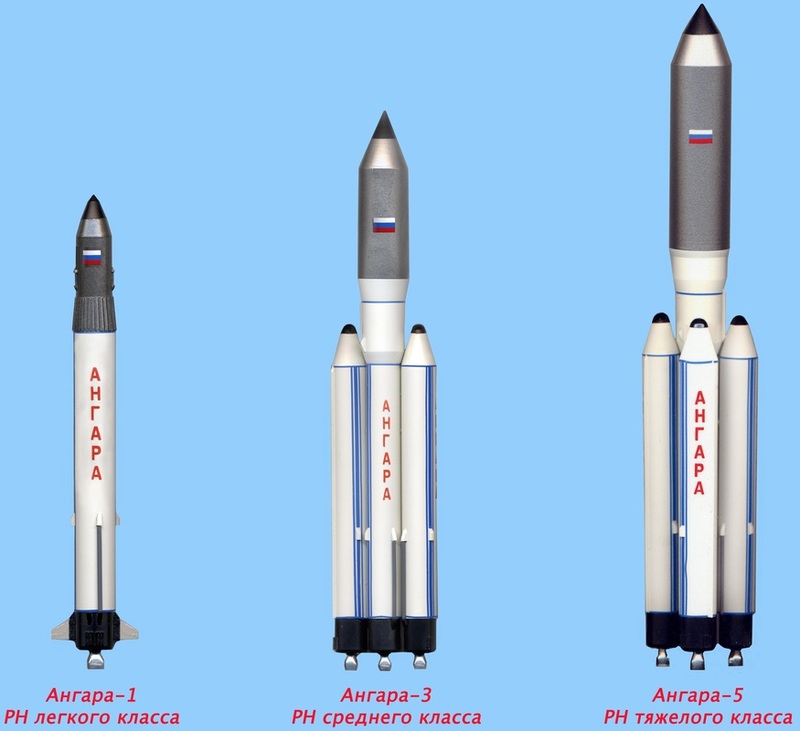 Angara has been designed to use one (Angara 1.1 and 1.2), three (Angara 3), five (Angara A5) and seven cores (Angara A7) to create a range of launch vehicle options. Angara can fly as a two or three-stage launch vehicle. The second stage of Angara, called URM-2, is a modified Block I upper stage of the Soyuz 2 rocket that is modified to be available in different diameters to cater the needs of the individual Angara versions. 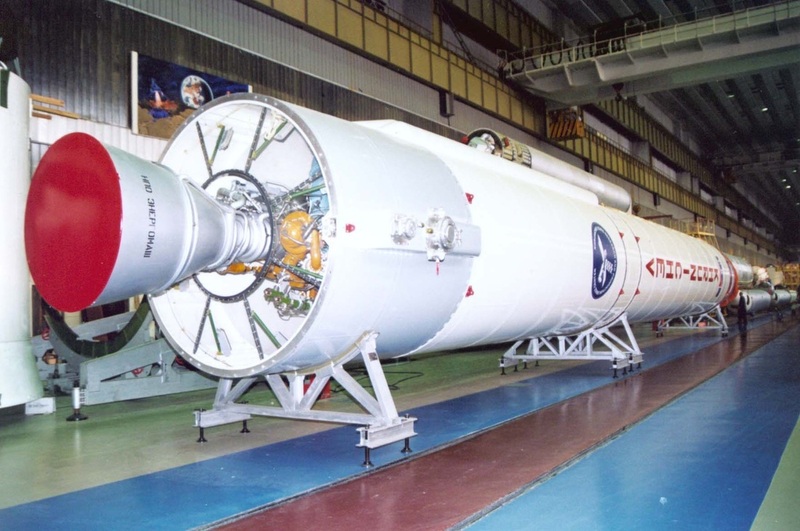 As an upper stage, Angara can host the operational Briz-M that uses hypergolic propellants and a new generation of cryogenic upper stages known as KVSK, KVRB and KVTK using liquid oxygen and liquid hydrogen propellants. The cryogenic upper stages are currently being developed, but will not be available for the first several years of Angara operations. Angara has been conceptualized for the launch of light Low Earth Orbit payloads up to heavy Geostationary Satellites requiring a direct insertion or a standard GEO-Transfer Mission. Manned versions of Angara have also been presented for future generations of manned spacecraft. 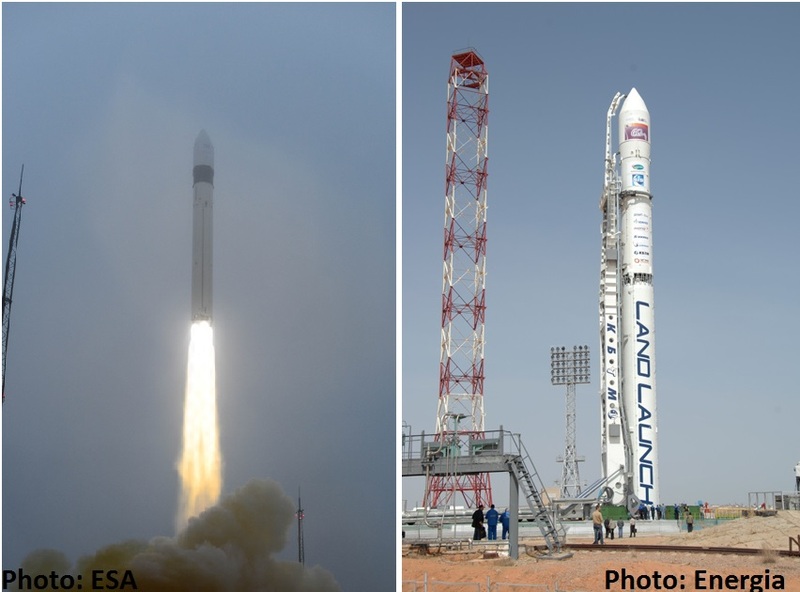 Currently, the Angara 1.2 and A5 versions are being actively pursued to allow the Russian Ministry of Defence to shift its payloads from Proton launches to Angara also switching launch sites from Baikonur to Plesetsk. 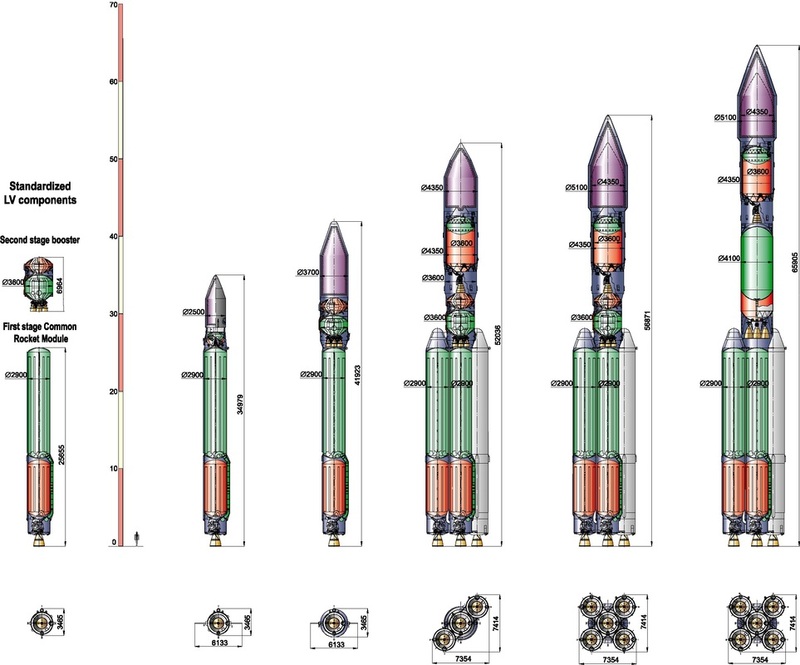 The Angara 1.1 launcher was planned to use the Universal Rocket Module as first stage and the Briz-KM, the smaller of the two Briz sisters, as upper stage. Using Briz-KM, the launcher was also designed to use the payload fairing of the Rockot launch vehicle to create a launcher for light payloads. For the 1.1 version, the URM would have launched with a partial fuel load. Overall, the launcher had a planned liftoff mass of 149,000 Kilograms and a length of 34.9 meters. The vehicle was designed to deliver payloads of up to 2,000 Kilograms into Low Earth Orbit. Angara 1.1 was canceled since its performance was too close to that of the Soyuz 2-1v that was being developed at the same time and made its maiden flight in late 2013. The Angara 1.2 launcher uses the Universal Rocket Module as first stage with its RD-191 engines delivering 1,920 Kilonewtons of liftoff thrust. URM-1 is 25.7 meters long, 2.9m in diameter and has a launch mass of 141,500 Kilograms. As an upper stage, the Angara 1.2 uses a modified Block I adapted from the Soyuz 2 using the RD-0124A engine. This stage is 2.66 meters in diameter and 6.7 meters long. 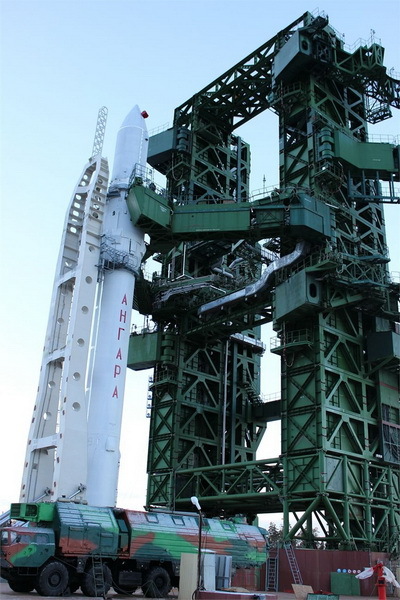 Angara 1.2 has a launch mass of 171,500 Kilograms standing 42.7 meters tall. The launcher can deliver payloads of up to 3,800 Kilograms to Low Earth Orbit. Angara 1.2PP is a custom-made version of the launch vehicle that is only used for the very first test flight of the Angara rocket in 2014. This launcher consists of the standard URM first stage with its RD-191 engine. The second stage is the 3.6-meter diameter Block I modification and not the 2.66-meter version that is normally used on the Angara 1.2. This is done to allow the first sub-orbital test flight to demonstrate the Block I second stage in its new version and certify it for the launch of the Angara A5 rocket. The Angara A3 version uses three Universal Rocket Modules – one Core Stage and two URMs as strap-on boosters. The A3 version sports the 3.6-meter diameter modified Block I as second stage and the Briz-M or KVSK as a third stage for non-LEO launches. The launcher uses payload fairings from the Proton rocket. Angara A3 has a launch mass of 480,000 Kilograms and stands 45.8 meters tall with a total launch thrust of 5,770 Kilonewtons. The vehicle can lift 14,600 Kilograms into Low Earth Orbit without an upper stage. A Geostationary Transfer Orbit capability of 2,400kg and direct Geostationary capability is 1,000kg using the Briz-M can be achieved. Using the cryogenic upper stage, the A3 could lift 3,600kg into Geostationary Transfer Orbit and 2,000kg into Geostationary Orbit. Using the cryogenic upper stage, the A3 could lift 3,600kg into Geostationary Transfer Orbit and 2,000kg into Geostationary Orbit. The Angara 3 makes use of the deep throttling capability of the RD-191 – throttling the Core Stage down after liftoff while the boosters continue at full thrust. 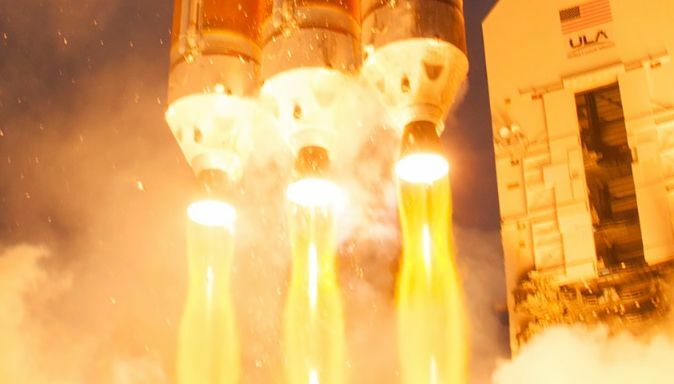 Saving propellants, the Core can continue firing after strap-on separation not unlike the flight design of the Delta IV Heavy that also uses three cores without cross-feed capability. The Angara A3 is at the concept stage only since there is currently no desire for it as the Soyuz 2 covers much of the payload range of the A3 launch vehicle. The Angara A5 is the version of the family that will be put to use as the workhorse launcher when it comes to Geostationary Transfer missions or direct GEO insertions. The launcher has a mass of 759,000 Kilograms. Using five Universal Rocket Modules – one Core with four strap-ons – A5 has a total liftoff thrust of 9,610 Kilonewtons. For its missions, the A5 throttles its Core Stage down while the boosters fire at full throttle, allowing the Core to continue burning for more than 100 seconds after strap-on separation. Angara A5 uses the modified Block I at a diameter of 3.6 meters. As upper stage, Angara A5 can use the Briz-M and the cryogenic KVTK. 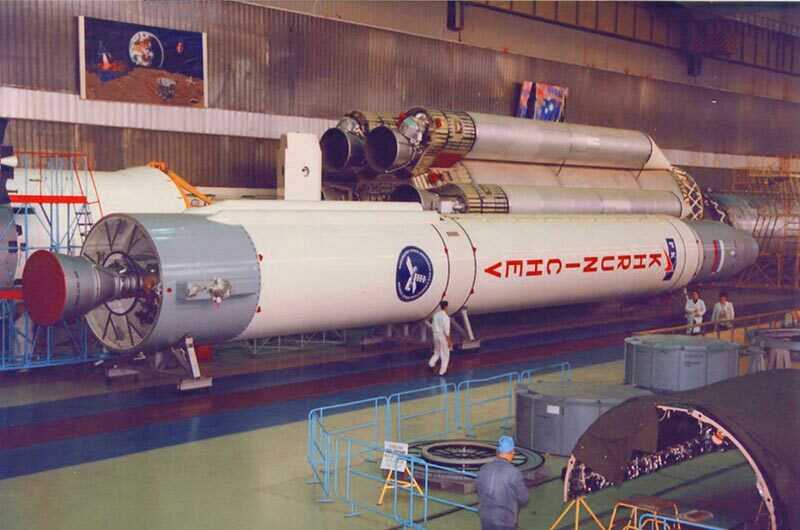 With Briz-M, A5 uses fairings also used on Proton creating an overall vehicle length of about 55 meters. KVTK would require a stretched fairing design creating a total launch vehicle length of 64 meters. Overall, Angara A5 can deliver payloads of up to 24,500 Kilograms into Low Earth Orbit. With Briz-M, the vehicle has a GEO-Transfer capability of 5,400kg and a direct GEO insertion capability of 3,000kg. Using KVTK, these values increase to 7,500kg and 4,600kg, respectively. A proposed manned version of the Angara A5 has been named A5P, for pilotiruemaya (manned). This version would not use a second and no upper stage and integrate a launch abort system. The launch vehicle would use a partial propellant load in the strap-ons and the Core Stage and fly a different throttling profile. The A5P version would have a mass around 710 metric tons with a Low Earth Orbit Capability of 18,000 Kilograms. The Angara A7.2 concept calls for a Core Stage and six strap-on Universal Rocket Modules each with one RD-191 engine. Unlike the other Angara versions, the Core Stage would not use the common URM design but have an increased diameter of 4.1 meters allowing it to carry more propellants for a longer burn time after URM jettison. 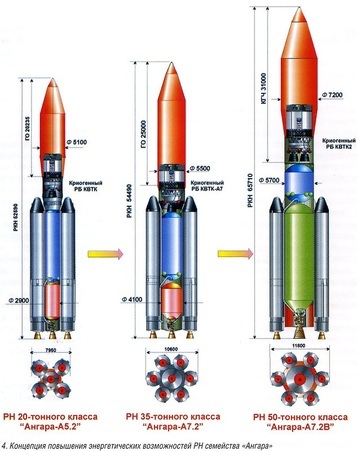 Angara A7.2 would use a KVTK cryogenic stage as its second stage ranging from the smaller one-engine KVTK-A7 to the two engine KVTK2-A7 and the even larger KVTK2B-A7. This would give the launcher a mass of 1,180,000 Kilograms at a vehicle length of nearly 66 meters using a large payload fairing 5.5m in diameter and over 25 meters long. Angara A7.2 would be capable of lifting 40,500 Kilograms into Low Earth Orbit, 12,500kg into Geostationary Transfer Orbit and 7,600kg into Geostationary Orbit. A manned version of the Angara 7 would use the Core Stage & URM stack of the A7 version. The use of an upper stage would depend on the mission profile as will the flight profile and fuel load of the boosters and core. The Angara project originated in 1992 when the Russian government issued a tender for the development of the Angara heavy-lift launch system for use by the Russian Military and the Russian Space Agency. Khrunichev was selected as the developer and operator of the vehicle in 1994 and funding for the development of Angara was secured in 1995. The motivation behind the Angara launch vehicle family is severalfold with the main objective of ensuring Russia’s access to space for a wide payload range. Angara was conceptualized to be able to replace current launch vehicles across different payload classes. The use of converted Intercontinental Ballistic Missiles for orbital launches was implemented in the late 1980s and 1990s, however, the ICBMs were qualified to be stored for a limited amount of time. Despite several efforts of prolonging the storage life of the ICBMs, launch vehicles such as Rockot, Strela and Dnepr can not be stored indefinitely and have to be replaced at some point. Another driver behind Angara was to build an all-Russian launcher no longer depending on components and rockets supplied by the Ukraine such as the Dnepr and Tsyklon launchers provided by Yuzhmash and the Zenit and Kosmos rockets manufactured by Yuzhnoye. Angara also had the objective of creating a launch system to eliminate the dependency on Kazakhstan and the Baikonur Cosmodrome since there had been a number of conflicts on launch trajectories and environmental impacts of launches. With no heavy-lift capability from domestic Cosmodromes, Russia identified the need to develop that capability through Angara to ensure access to a variety of orbits from the Plesetsk and Vostochny Cosmodromes located at higher latitudes – requiring more power to reach low-inclination orbits. 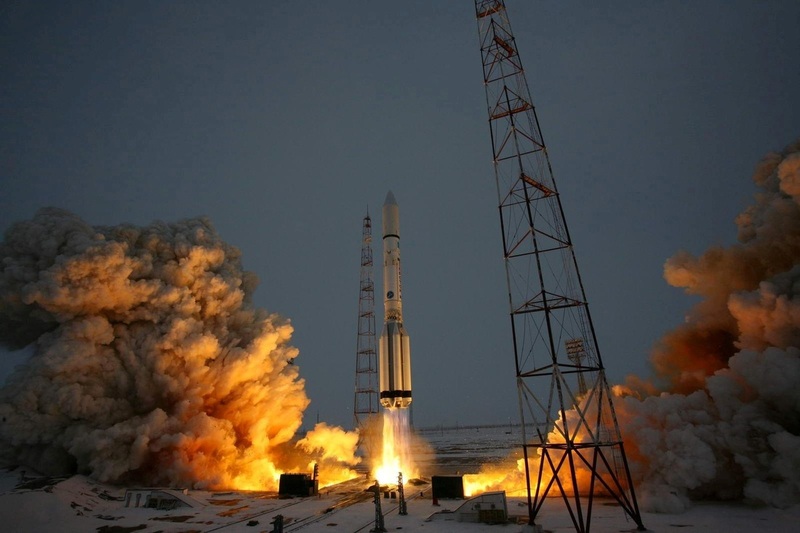 Angara also marks a move away from hypergolic propellants in launch vehicles – Proton uses 722 metric tons of toxic hypergolics which have been the cause of extensive debate whenever a Proton launch failure led to the release of significant quantities of those chemicals. The design of Angara was to combine new state-of-the art hardware with flight-proven components to create a modern and reliable launch system with high cost-efficiency using a modular design approach. The initial design process of the components of the Angara rocket was completed until 1999 including the design of the Universal Rocket Module, the RD-191 engine and the URM-2 second stage and its RD-0124 engine. In 2001, NPO Energomash started testing of the RD-191 first stage engine at the Peresvet test facility and Khrunichev began the production of a URM test article that underwent structural testing beginning in 2004. RD-191 testing continued as part of a program that called for 70 test firings for a duration of 15,000 seconds using ten engines. 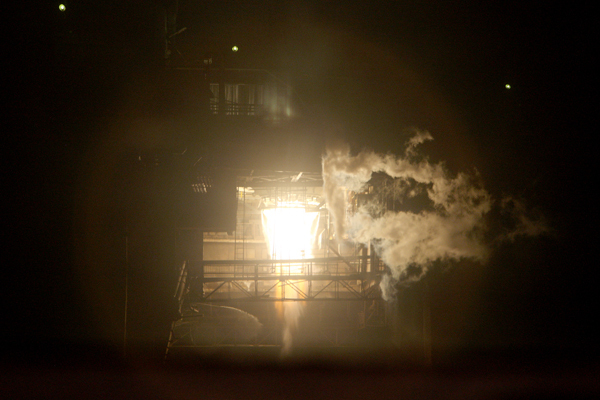 After five years of testing, RD-191 had completed 35 tests for 4,500 seconds of firing time. In 2005, Khrunichev and the Korean Aerospace Research Institute completed negotiations and finished an agreement for the development of the KSLV launch vehicle that would use an Universal Rocket Module supplied by Khrunichev as its first stage powered by an RD-151 engine, a lower thrust variant of the RD-191. At the Plesetsk Cosmodrome, construction of the Angara launch facilities began at Site 35, a former Zenit launch pad that never finished construction. The first Angara launch platform was delivered to Plesetsk in 2006 when flight testing was still expected to begin in 2010. Khrunichev awarded PO Polyot a contract to manufacture the booster stages of the Angara launcher. As part of the agreement signed in 2006, PO Polyot merged with Khrunichev in late 2007. In late 2007, NPO Energomash announced that the RD-191 flight hydraulics and steering actuators were successfully tested under near-flight conditions in the ongoing engine testing. KBKhA, the manufacturer of the RD-0124A engine, conducted engine testing in late 2007 that included the use of gimbal actuators. In 2008, the URM-1 and URM-2 test articles prepared for testing of the stages including fueling tests and firing tests. 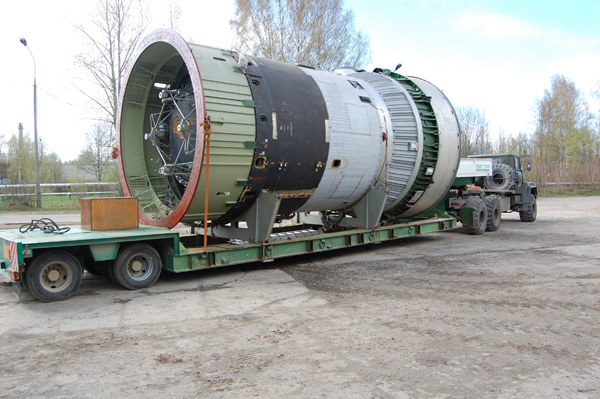 The URM-2 second stage module was delivered to the Peresvet testing facility in September 2008 and was installed in a test stand in October to allow testing to commence. The URM-1 first stage booster was moved to the testing facility in early 2009 and the first cold tests were completed by April and involved loading the stage with propellants – Kerosene and –183°C liquid Oxygen to validate the propellant systems and the integrity of all tanks and associated plumbing. Cold testing also included test runs of the URM-1 pneumatic and hydraulic systems. In July 2009, the URM-1 test article fired for the first time reaching a total burn time of 232 seconds for a full duration test of the first stage operation during an orbital launch. The test was a complete success and achieved all of its objectives. On August 25, 2009, the South-Korean KSLV launcher with URM-1 booster failed to deliver the STSAT-2 satellite to orbit in its first test launch. 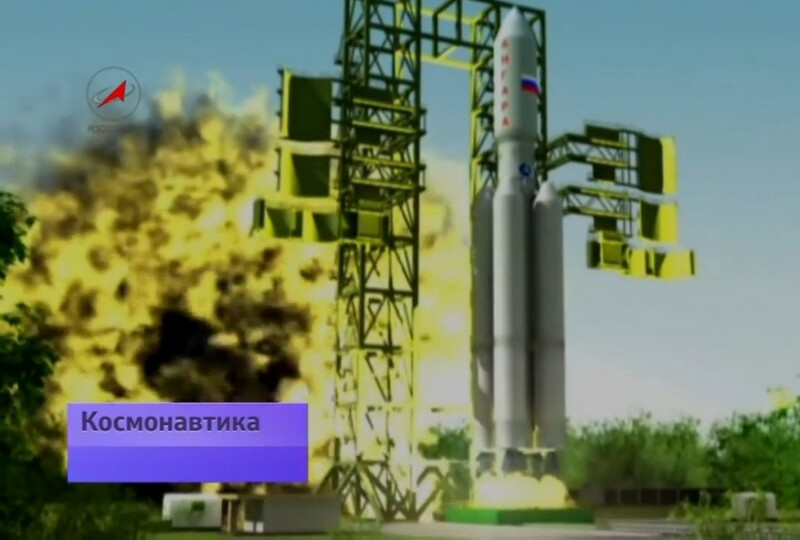 The failure occurred during the upper stage portion of the flight – the URM-1 first stage performed correctly providing valuable in-flight data for the development of the Angara launcher. 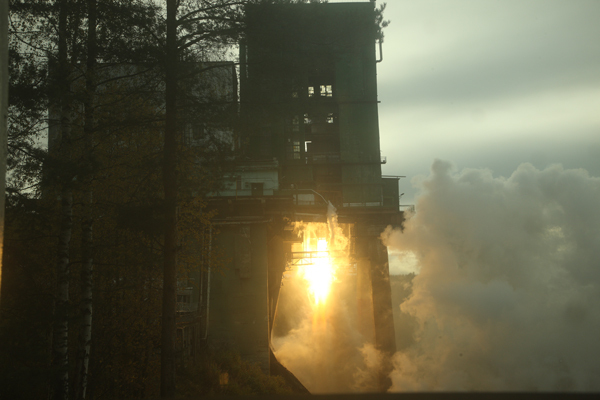 In October 2009, the second test firing of the URM-1 booster was completed at Peresvet reaching the planned burn duration of 203 seconds at the highest possible throttle setting to simulate the flight of the strap-on boosters of the Angara 5. 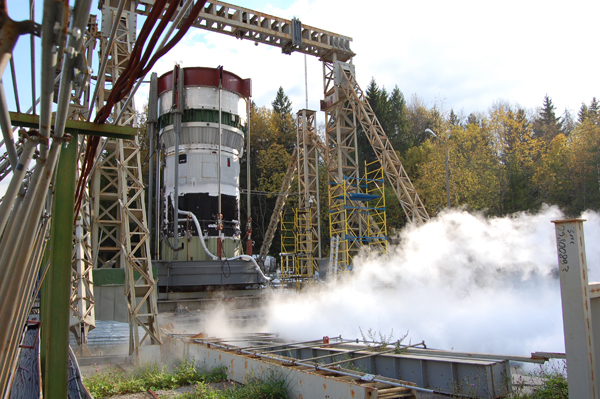 The third and final URM-1 test firing took place in November 2009 and cleared the way to press into second stage testing at Peresvet that commenced in mid-2010 as the URM-2 was first put through a series of cold tests that included fueling tests and validations of the various subsystems of the stage. In June 2010, the Korean KSLV made its second launch but failed 137 seconds into the mission when all communications with the launcher were lost and a bright flash was observed. Prior to the apparent explosion, the Khrunichev-built first stage did not show any signs of deteriorating health before data was lost. After the failure, it was determined that the likely cause of the mishap was a failure of the flight termination system on the second stage. In late 2010, the URM-2 upper stage conducted its first full-duration test firing with a duration of 399 seconds using the propellant depletion sensors of the stage for shutdown. In 2011 it was announced that the RD-191 engine had completed its test program that included a total of 120 tests for a total firing time of more than 26,000 seconds. Certification testing of the engine started in early 2012 and was planned to include 18 tests using three different engines to fully certify the engine for use on the Angara launch vehicle. Testing for the certification of combustion chambers manufactured by VMZ continued throughout 2012 and into 2013. 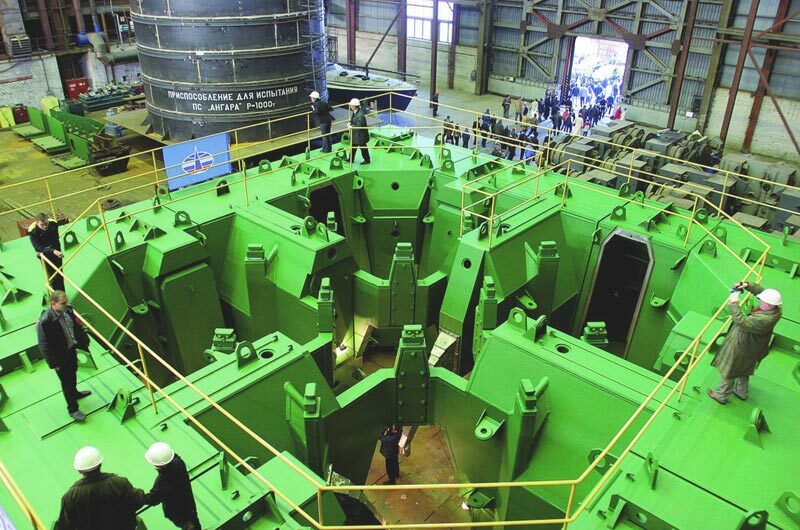 The first production engines were already shipped from NPO Energomash to Khrunichev in 2011. In 2012, the development of the flight control system of Angara and associated software was finished. 2012 saw the shipment of the Angara test article to the Plesetsk Cosmodrome where the launch facilities has completed construction and the first of two mobile erectors for the rocket completed its acceptance tests. The test article was set for fit check at the launch site to verify structural systems as well as propellant interfaces. In late 2012, the RD-0124A engine completed a test firing to complete climatic testing of the engine that demonstrated that the engine works nominally after exposure to climatic conditions found at the Angara launch sites. 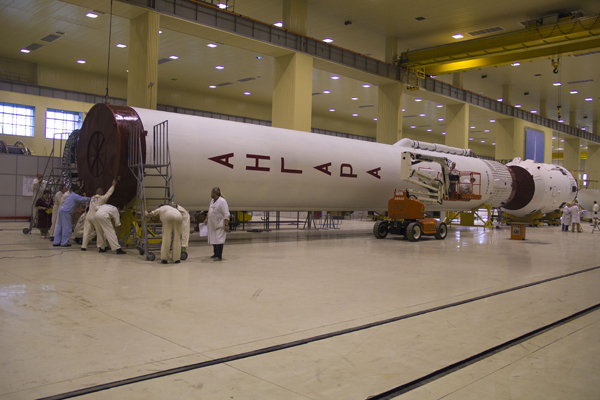 Structural testing of the Angara launch vehicle wrapped up in late 2012. 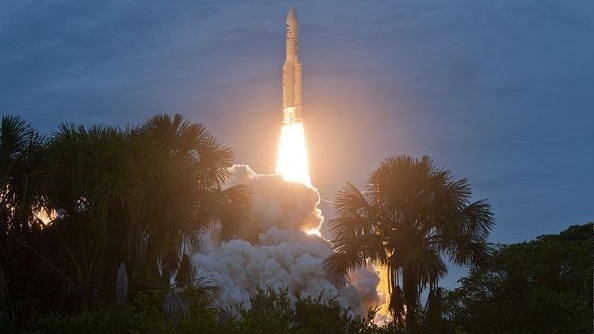 On January 30, 2013, South Korea achieved its first successful KSLV launch using the URM-1 with RD-151 engine which operated nominally throughout the flight that delivered the STSAT-2C spacecraft to Low Earth Orbit. At Khrunichev’s facility in Moscow, the payload fairing of the Angara 1.2PP flight vehicle underwent final fit check with the launch vehicle in early 2013 and the vehicle also passed pneumatic and hydraulic systems testing of the second stage. The first stage for the maiden launch completed final electrical testing in March 2013. In late May 2013, the first flight-worthy Angara launch vehicle was shipped from Moscow to Plesetsk for testing ahead of the first sub-orbital test launch of the Angara rocket. In November 2013, the ground test article of the Angara launcher made its first rollout to Pad 35/1 demonstrating the transporter-erector and the launch pad propellant interfaces. After the rollback of the vehicle, mass simulator testing was underway at Plesetsk while the 1.2PP launcher completed processing inside the MIK. The second rollout of the ground test article came in February 2014 to pave the way for integrated testing of all ground support systems including fueling tests that were planned in March 2014 before the mock-up cleared the way for the actual rocket. On March 25, the Angara 1.2PP launcher was rolled out to the launch pad at Site 35/1 for six days of extensive ground support equipment tests. The first sub-orbital test launch of Angara is planned in June 2014 to be followed by the first launch of the Angara A5 rocket in late 2014 or early 2015.